That's right, it's giveaway time again! Fancy getting a free seat to represent Bluff in what is sure to be one of the best tournaments around this month? Did we also mention that it has a £30,000 guaranteed prize pool? Well then, it’s your lucky day, because we’re giving one of you gorgeous readers the chance to win a seat to the Coral 30/30 at Aspers Casino Stratford in London this weekend (15th-16th March). As you can probably guess from the name, the 30/30 is centred around a certain numerical theme – the buy-in is £300, the guarantee is £30,000, and the starting stack is 30,000. Players will have 30-minute blind levels on Day 1, and 40-minute levels on Day 2. As if that wasn’t enough already, there will also be a free buffet put on for all players on Saturday. We spoil you lot, we really do. 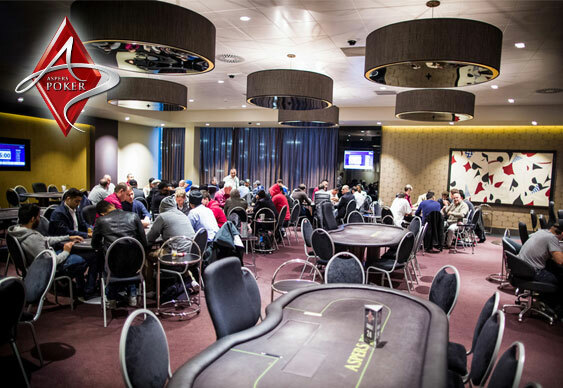 The 30/30 happens at Aspers Casino Stratford (in partnership with Coral) on the second weekend of every month, and the last one was packed with value, sporting a £3,540 overlay. All you need to do is share or retweet this article on Facebook or Twitter, and you could be in with a chance to win yourself a seat worth £300. What are you waiting for?! Get a move on, you layabouts! The winner will be notified by the afternoon of Friday 14th March.